New homes have come dangerously ubiquitous with today’s best products. At the very least, they are exactly that: new. However, the age of a property should in no way convince you that it’s free of hidden real estate construction costs. When all is said and done, every cost you can associate with an older home can translate to a newer one, so it’s in your best interest to remain diligent, even though the house you are buying has never been lived in before. Don’t, for one-second, assume a house is in perfect condition simply because it’s new — doing so could lead to several costly mistakes. There’s no doubt about it: new homes have several advantages over older ones, but that doesn’t mean they aren’t without their own shortcomings. Namely, new builds can have some hidden real estate construction costs of their own. And it’s in your best interest to recognize them before it’s too late. 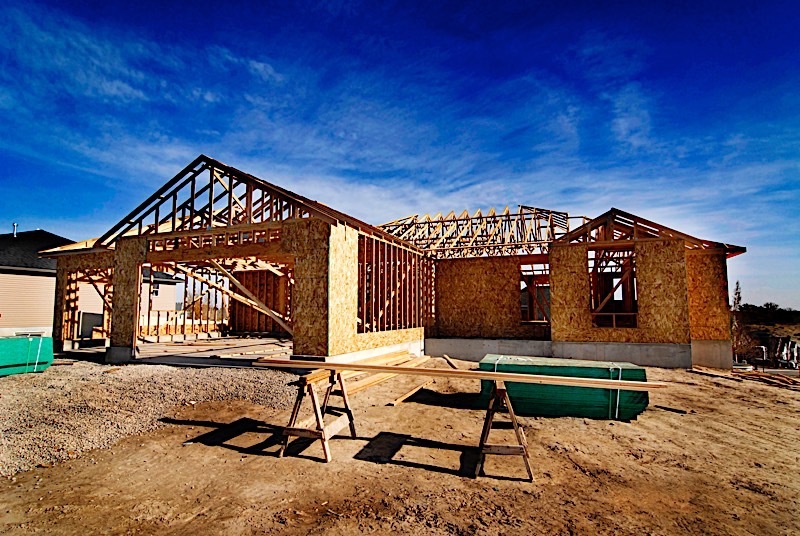 Let’s take a look at four the most common real estate construction costs new homebuyers don’t expect to run into, but should nonetheless keep an eye out for. Otherwise known as “latent defects,” hidden defects aren’t relegated solely to existing homes. While more prevalent in properties that have been around for a while, hidden defects can pop up in homes that haven’t even hit the market yet. That said, it’s entirely possible for a newer house to experience leaks or flooding if builder negligence lead to poor waterproofing or inadequate grading. Even worse, a weak slab could crack, resulting in foundational issues from the very beginning. Case in point: it’s not easy to build houses, and there are simply too many variables to assume nothing will ever go wrong. It is a sad truth, but a reality nonetheless: new homes are just as susceptible to hidden defects as older ones. Therefore, it’s never safe to assume a home is free and clear of major defects, even new ones. In reality, newer houses can exhibit the same defects as older ones, so be prepared to mind due diligence, even if you are looking at acquiring a new build. To protect yourself from the real estate construction costs that coincide with hidden defects, don’t refrain from conducting due diligence. Research the builder and be sure to have the home thoroughly inspected — ideally by a professional that isn’t affiliated with the builder in any way. A good inspector should be able to identify any defects, no matter how hidden they are. Additionally, you will want to read the home’s warranty carefully, as to make sure it covers hidden defects; if not, repairs could come out of your pocket. More often than not, new builds come with just about everything you could need; that’s how they are marketed, at least. It’s worth noting, however, that not every new home will come complete with everything you need. In fact, it’s not unheard of for new properties to be void of the most basic necessitates: fences, patios, appliances, window coverings, landscaping and other amenities that have been deemed necessary by societal norms. If enough of these amenities are missing at the time of purchase, you could find yourself with a significant cost, even before you move into the home. Prior to making an offer, be sure to identify which amenities are included in the purchase, and — perhaps even more importantly — which ones aren’t. Only once you know what comes included with the home will you be able to identify every cost. In the event you identify some added costs prior to making an offer, be sure to factor them into your budget. You may find yourself with some negotiation leverage. It’s entirely possible to negotiate certain aspects of a home, new or not. If you find that you are going to have to pay out of pocket for a new fence, perhaps you could negotiate a better deal; one that could perhaps have the builder pay for the closing costs. That way, you can offset the out-of-pocket expense for the fence. Instead of settling for less, get creative; just because the home may not have everything, doesn’t mean you are stuck with fronting the bills. New homes are essentially a blank canvas; they can be built to specifications laid out by each impending owner. The same builder, for example, may offer identical blueprints to each buyer, but with a few exceptions: amenities. Homes are offered in “packages,” not unlike a car. You could, therefore, buy a home void of any upgrades at all. In fact, to save money, many buyers elect to buy homes without upgrading any of their amenities; they are perfectly content with the basic amenities, but I digress. Builders are also sellers; they are going to do what they can to “up-sale” their clients. They are more than aware of the fact that showing their top of the line model can lure you into spending significantly more than the base price. In other words, you can certainly have granite countertops installed instead of the standard composite ones, but it’s going to cost you. Do you prefer hardwood floors over carpet? If so, it’s just one of the many real estate construction costs you are going to have to consider. When all is said and done, upgrades can run somewhere in the neighborhood of tens of thousands of dollars, so do yourself a favor and be sure to align your costs with your budget. I want to make it abundantly clear; not all real estate construction costs are equal, nor do they follow the same rules. You see, up until this point, I have referred to cost with a monetary value, but that’s not always the case. It’s entirely possible for costs to be — for lack of a better word — subjective in nature. For example, buying a house comes at a cost. Sure, the money you spend in acquiring a home is the most obvious cost, but it’s not the only one. The most notable cost, outside of the price, is the effects the acquisition will have on your future. If for nothing else, buying a new home means buying into uncertainty; you really have no idea what you are getting into. Who will you be living next to? Will you get along with your neighbors? What developments are planned down the street? There are a seemingly infinite number of variables that could impact the value of your home and — more importantly — the quality of your life. Make no mistake about it, the results of said variables are a cost; the cost of living in a new area. That’s not to say it isn’t ok to take a chance on a newly developed area, I simply want you to recognize the cost — just realize you are taking a chance. That said, most developers have done their homework. The good ones will have already made sure their location is a good investment, which could mean the same for you. Real estate construction costs aren’t relegated solely to older homes. In fact, there are plenty of issues to be found in new builds; issues that come complete with their own costs. That said, I implore you to mind due diligence, even when buying a newly constructed home. While the chances of finding major issues are much less than in their older counterparts, newer homes aren’t immune to costly problems. The sooner you realize that, the better. 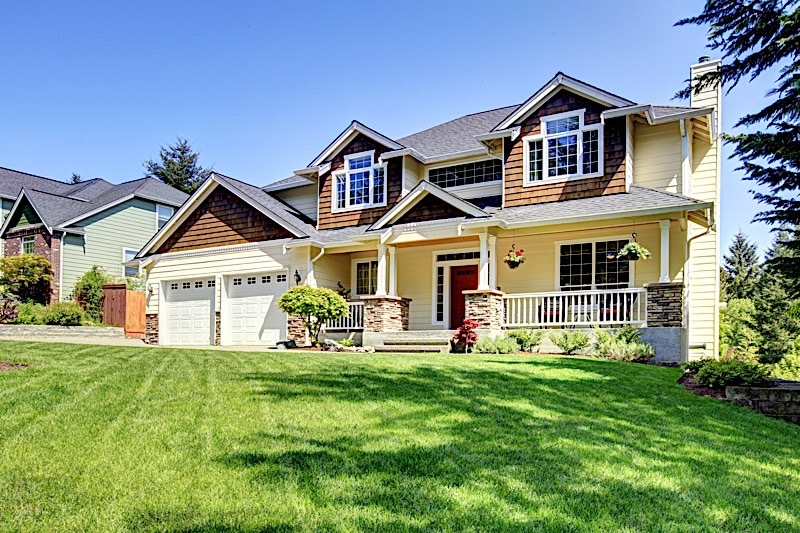 While newer homes are less likely to come with major issues, they aren’t immune to many of the same costly mistakes that hamper their older counterparts. There are several issues that can go undetected when purchasing a new home. Those buyers that can identify costs before a purchase have a better chance of landing a great deal.